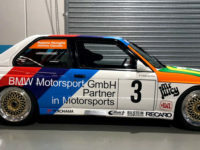 Post Tagged with: "The Bend"
After a successful 2017 Heritage Touring Cars season in the ex-Anthony Reid Asahi Kiko JTCC BMW M3, Duncan MacKellar has returned to Heritage Touring Cars competition for 2018 and brought with him the 1990 Italian Superturismo Championship Schnitzer BMW M3 of Roberto Ravaglia. 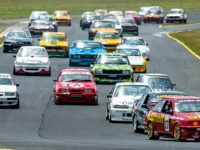 The 2018 Heritage Touring Car Series kicked off in style over the 13th to the 15th of April, when we joined the Shannons Nationals series to christen Australia’s newest motorsports facility – The Bend Motorsport Park. 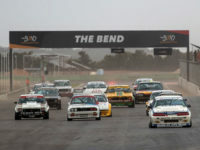 This weekend, April 13 – 15, will see the 2018 Heritage Touring Cars series kick off at Australia’s newest motorsport facility – The Bend Motorsport Park in Tailem Bend, South Australia. We’ll be bringing a full field of 33 classic Australian Group C & A touring cars to Round 1 of the 2018 Shannons Nationals.